Provide comfort for the family of Brenda Claus with a meaningful gesture of sympathy. BRENDA LEE CLAUS, 54 years of York, PA, formerly of Whiteford, MD died on Tuesday, March 26, 2019 in Pleasant Acres Nursing & Rehabilitation Center. Born on August 28, 1964 in Baltimore, MD, she was a daughter of the late Raymond Frances and Doris Jean (Lane) Claus. Brenda was a 1982 graduate of North Harford High School in Pylesville, MD. Brenda had worked as a bakery department manager for Giant Foods for 28 years when she retired in June of 2011 and had attended Fawn United Methodist Church in Fawn Grove, PA. Brenda was a Baltimore Colt then a Baltimore Ravens football fan and enjoyed sun bathing. She was a skilled pool player and played in the pool league in Delta. Her children described her as a wonderful loving mother, did everything she could for her children and her strength never ended. She will be missed. Visitation will be held on Thursday, March 28th from 6 to 8 p.m. at Harkins Funeral Home, 600 Main Street, Delta, PA where the funeral service will begin at 11 a.m. on Friday. Reverend David W. Stough of Fawn United Methodist Church will officiate. Interment will be in Bel Air Memorial Gardens. In lieu of flowers, her family would appreciate memorial contributions to the ALS Association, PO Box 37022, Boone, IA 50037-0022 or alsa.org. 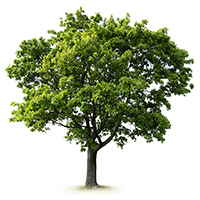 To plant a memorial tree in honor of Brenda Lee Claus, please visit our Heartfelt Sympathies Store. I am deeply saddened to hear of Brenda's passing and I offer my sincere condolences to her family. In this time of grief and loss, it is reassuring to know that we can gain comfort from our creator. The bible gives this comforting promise: “Jehovah [God] is near to those that are broken at heart; and those who are crushed in spirit he saves.”(Psalms 34: 18) In the Bible, there is also hope for the future in which God “will swallow up death forever.” (Isaiah 25:8) May this give you peace and comfort as you go through this challenging time. I am so so sorry for your loss. My thoughts and prayers are with the family n friends. I have help to care for Brenda and i would love to make her laugh, but i also lived being there for her when she was feeling down n fristrated. I would wipe her tears away. I would tell her how i wish i could do more for her n take her pain away. But neing there for her was all i could do. I loved Brenda so much her strength to keep on going as long as she has. Brenda was a beautiful woman n i will forever miss her.